The maitake mushroom is an edible species that is commonly found in extract form today. According to the American Cancer Society, the maitake mushroom contains beta-glucan, which has powerful effects on the immune system. Additionally, while there is no medical evidence to confirm that maitake mushroom extract is effective in treating or preventing cancer, some individuals utilize the formula for this purpose. Consult your health-care provider for complete information on maitake mushroom extract and its benefits. Maitake mushrooms primarily grow in the northeastern parts of Japan and the United States, and is credited by traditional Chinese medicine to be able to fight disease and improve immunity, according to Nicholas Perricone, MD. Taking maitake extract regularly effectively boosts the immune system, lowers blood pressure, and helps to fight off harmful diseases. The mushroom is most effective due to its content of beta-glucan, which is a polysaccharide compound that enhances the immune system by activating macrophage cells, natural killer cells and T-cells. These cells play an important role in building general immunity and preventing free radicals from harming the body’s systems. Maitake mushroom extract is most widely known for its use as a cancer-fighting agent, according to Vitamins & Health Supplements Guide online. The maitake mushroom contains polysaccharides and polysaccharide-protein complexes that the body uses to build the immune system. The extract’s content of beta-glucan in particular serves as a healthy defense system to promote important immune system actions. The glucan effectively activates white blood cells that fight off the microorganisms that produce disease, including cancer. Maitake mushroom extract boosts the activity of these various cells to induce the production of interleukins and other lymphokines that have chemoprotective effects, slow tumor growth, and help to inhibit the spread of cancer. 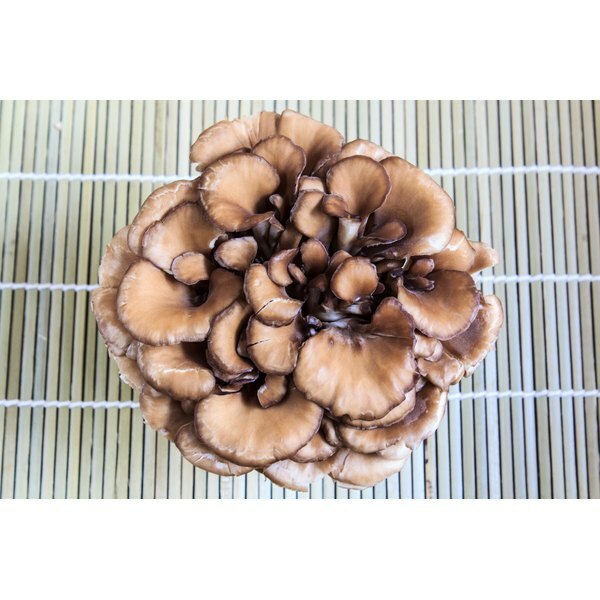 In addition to boosting the immune system and helping the body fight off harmful diseases, maitake mushroom extract may also regulate blood sugar levels, blood lipid levels and the liver, according to HealthFoodBenefits.com. Maitake mushroom is naturally a potent source of the polysaccharide compounds that give the supplement its health-promoting effects. These active components are also effective in helping to regulate blood pressure, glucose, insulin and lipids. This effect is especially beneficial for people with diabetes or hypoglycemia. Be sure to consult your health-care provider for this particular use, as maitake mushroom’s blood sugar-regulating properties may interact with other blood sugar-regulating medicines or drugs.